See the first part of this awesome and scary building here. My daughter loves scary things, but even she was freaking through some of this, especially the particularly dark areas like the bowling alley. 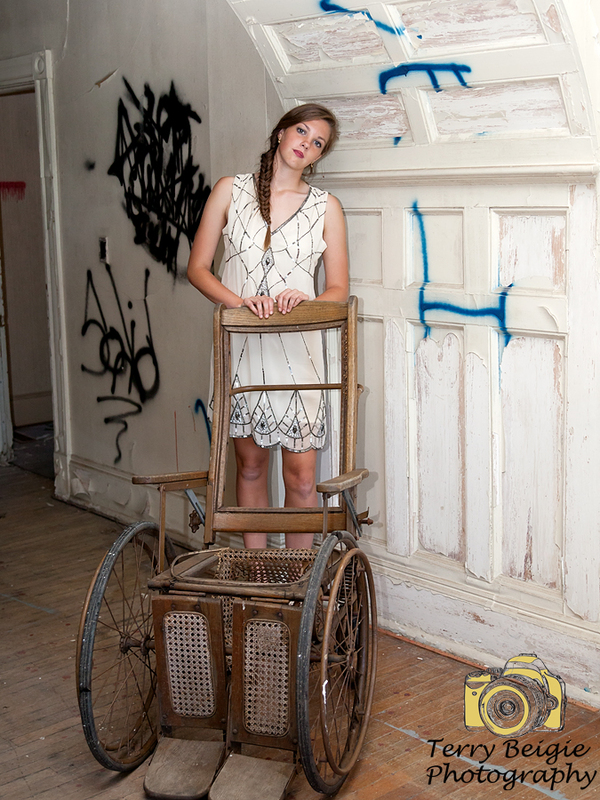 She agreed to model for us through some of the creepy St. Albans Sanatorium. Despite her amazing soccer tan we had a really great time! Peeling paint in the former lobotomy surgical area. Because why wouldn’t you have an under the sea mural in a former mental institution?